Central Garden is the Residential and Commercial Building. It is on 225 Vo Van Kiet Street, Co Giang Ward, District 1, HCMC. It takes only 3 minutes to Ben Thanh Market with a height of 22 floors and consits of in 3 towers: Sunrise, Sun, and Sunshine. The Overall area is 10,000 sqm with 380 Apartments (from the 4th floor to 22nd floor). The parking area: 4,500m2. The Area of apartments from 75m2 to 158 m2. The Price for rent is from $ 600 – $ 1,200 / month. The rental depends on the floor, view and furnished in side. 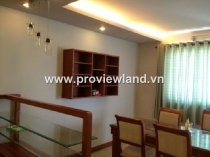 Management Fee is 7,500VND/m2/1 month. The Parking fee is 900,000 VND per month for fist car and 500,000 VND for the second car. - 2 bedroom apartments from 72 sqm – 91sqm equipped with fully furnished, the rent from $ 600 – $ 750 / month. - 3 bedroom apartments from 137sqm to 150sqm area is tastefully furnished, the rent from $ 850 – $ 1,200 / month. 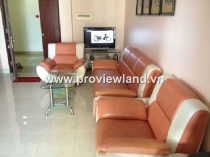 - 4 bedroom apartments, area is about 178sqm is tastefully furnished, the rent from $1,000 to $1,500 / month. Central Garden is located at 225 Ben Chuong Duong, P. Co Giang Street, District 1, HCM City takes only 3 minutes to get to Ben Thanh Market with 22 floors and a height of 3 buildings built Sunrise, Sun, and Sunshine.